Engraved Rising Star Crystal Corporate Award. Available in 2 colours, Gold and Silver. These amazing awards measure 260mm high and come complete in a presentation box. 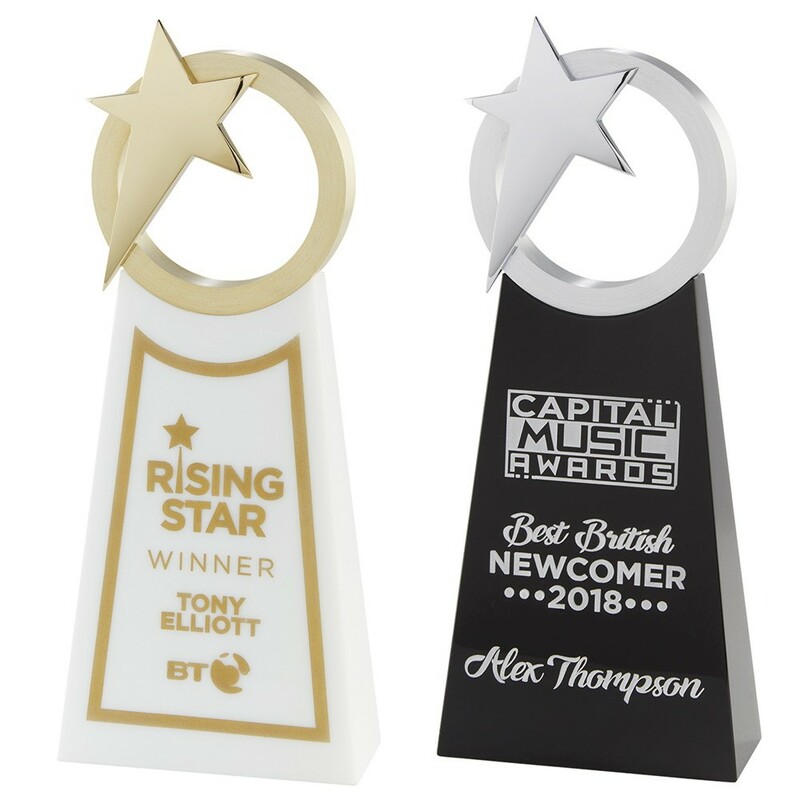 These are stunning, unique awards, the gold award has a white crystal base with gold infilled text and the silver award has a black crystal base with silver infilled text. The depth of the widest part of the base is 45mm.